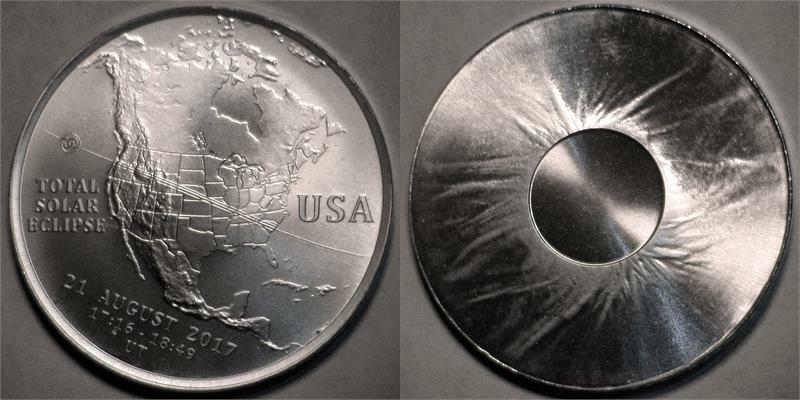 2017 USA Total Solar Eclipse silver medal. Edge: Smooth (marked "ONE TROY OZ . 999 SILVER").